Adam Smith (1723 – 1790) was a Scottish economist and philosopher who laid the foundations of the modern economic system and is known as the Father of Modern Economics. Smith’s first work Theory of Moral Sentiments introduced several major philosophical breakthroughs. His second work The Wealth of Nations was one of the world’s first collected descriptions of what builds nations’ wealth and it shaped the way the world conducted commerce for centuries to come. Moreover, it is one of the most influential books ever written and is till date regarded as a fundamental work in classical economics. 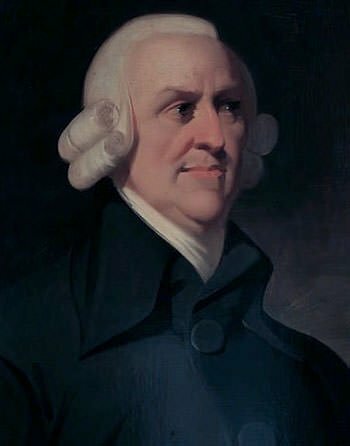 The economic theories of Adam Smith revolutionized world economics paving the way for the free market system and capitalism. He is thus one of the most influential people of the 18th century. Here are the 10 major accomplishments of Adam Smith including his contributions to economics. During Smith’s time, economics was dominated by a system called mercantilism, which propagated generating wealth through accumulation of profitable balances. Thus leaders saw national wealth in terms of a country’s stock of gold and silver. Due to this countries focussed on minimizing the drain of wealth through taxes on imports, subsidies to exporters and protection for domestic industries. The theories of Adam Smith revolutionized economics by bringing to light the shortcomings of mercantilism and instead paving the way for free market economics. He explained in his works that a country should not hog all of its resources but instead focus on boosting trade. This brought a major shift in economic mindset as it was understood that a nation’s wealth is not the sum of the quantity of gold and silver in its vaults but the total of its commerce and production, what we today term as Gross Domestic Product (GDP). The first major work of Adam Smith, The Theory of Moral Sentiments, was published in 1759. In it, Smith introduced some major philosophical breakthroughs related to charity and human ethics. The treatise explained how human communication relies on sympathy; and that even though people are self-interested, they naturally like to help others. Thus the central notion in the book is that moral principles have sympathy as their merit. The Theory of Moral Sentiments also explores elements of social psychology like shared morality and sense of justice. Smith argues that humans have a natural affinity for justice as it promotes the preservation of and propagation of society. 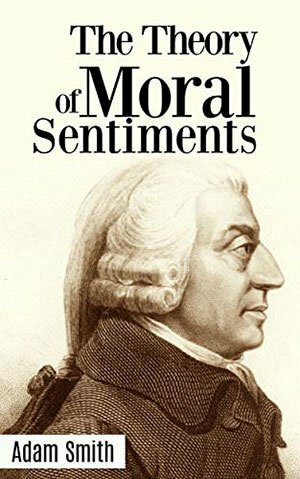 Though the Wealth of Nations is regarded as Adam Smith’s magnum opus, he himself considered the Theory of Moral Sentiments as a superior work. Adam Smith was the first to introduce the concept of the invisible hand. Broadly, the concept states that each individual in pursuing his own selfish good was led, as if by an invisible hand, to achieve the most beneficial economic outcome for all. Thus, if the costumer is given the liberty to choose what to buy and the producer is given the liberty to choose what to sell and how to produce it, the market will settle on product distribution and prices that are beneficial for all members of the community thus benefiting the community as a whole. Among other things, this happens as efficient methods of production are adopted to maximize profits; lower prices are charged to gain in market share; and those industries are invested in that are most in demand. Smith’s theory of the invisible hand is today one of the most important economic theories and it is a central justification for the laissez-faire economic system in which transactions between private parties are free from government intervention. 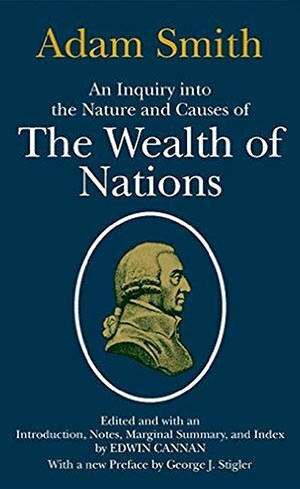 In 1776, the magnum opus of Adam Smith, An Inquiry into the Nature and Causes of the Wealth of Nations, generally referred to simply as The Wealth of Nations, was published. In it, Smith pointed out how erroneous the mercantilist system is and put forth the benefits of a free market economy. He explained that both the buyer and the seller would benefit from a trade simply because no one would trade if they expected to lose from it. This was a breakthrough at the time since it depicted that imports are just as valuable as exports. The Wealth of Nations deeply influenced the politicians of the time and acted as an intellectual canvas for the foundation of global free trade in the 19th century. The Wealth of Nations was one of the world’s first collected descriptions of what builds nations’ wealth and it shaped the way the world conducted commerce for centuries to come. Moreover, it is one of the most influential books ever written and is till date regarded as a fundamental work in classical economics. The Wealth of Nations gained so much popularity that by the middle of the 19th century, it was regularly cited in the British Parliament to aid debates. These include the debates on the Corn Laws. The Corn Laws were tariffs and other trade restrictions on imported food and grain. The repeal of the Corn Laws was a decisive shift toward free trade in Britain. The Wealth of Nations was also read by leading politicians of the time, including the likes of Benjamin Franklin, George Washington, Thomas Paine and Thomas Jefferson. Jefferson famously included the Wealth of Nations in his pile of essential books while compiling a “course of reading“ in 1799. Hence, extracts from the book were promptly used to drive debates and brainstorming sessions during a time when the United States was being formed. In economics, a free market is a system in which prices for goods and services are determined by the open market and by consumers. Thus a free market is an unregulated system of economic exchange, in which taxes, quality controls, quotas, tariffs and other forms of centralized economic interventions by government either do not exist or are minimal. In an idealized free-market economy, prices for goods and services are set freely by the forces of supply and demand and are allowed to reach their point of equilibrium without intervention by government policy. Though an idealized free market doesn’t exist in the world, there are numerous nations in the world that have economies which approach or approximate the free market system. Thus, the free market system is widely used and it was Adam Smith who laid its foundations. Adam Smith had a radical view of not only of economics but also of how human societies actually work. He proposed that social harmony would be a natural by product of humans hustling and finding ways to live and work together. In other words, Smith proposed that freedom and self-interest need not always result in chaos and can instead lead to order and concord. Thus, according to Smith, kings and ministers were not required to control a nation leading to a prosperous society. Prospering social order would instead grow, organically, as a product of human nature. It would grow best in an open, competitive marketplace, with free exchange and without coercion. Another major concept promoted by Adam Smith in the Wealth of Nations is the division of labour. According to Smith, increase in growth is rooted in division of labour. Smith propagated breaking large jobs into small components leading to specialization of the labour force. As each worker becomes proficient in his area of labour this would increase the efficiency of production. Smith’s concept of division of labour attracted attention around the world and was instrumental in marking a prominent shift from land-based wealth to the wealth generated by assembly-line production methods. Smith further proved that specialization generates prosperity through the labour theory of value (LVT) which stated that the price of a good or service was equal to the total amount of labour value (wages) required to produce it. This, along with the theory of distribution, formed the base for modern day industrialization as we know it. Adam Smith is widely considered as the “Father of Modern Economics” and the economist who put forth ideas that changed the world. His formulation of new-age macroeconomics concepts discarded the old view of economics and paved way for politicians all around the world to construct unprecedented national policies that promoted trade and contributed to the welfare of nations. The perspective through which the world perceived global economy after the advent of Smith’s theories is relevant to date with every subsequent major economic theorization using it as a foundational stone. Even after more than two centuries, Adam Smith remains a towering figure in the history of economic thought. 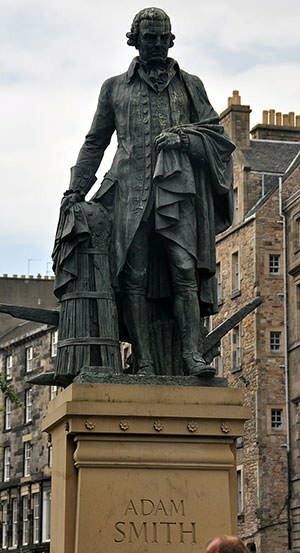 The Scottish Enlightenment was a period from 18th to early 19th century in Scotland which is marked by an out-flux of intellectual and scientific accomplishments. 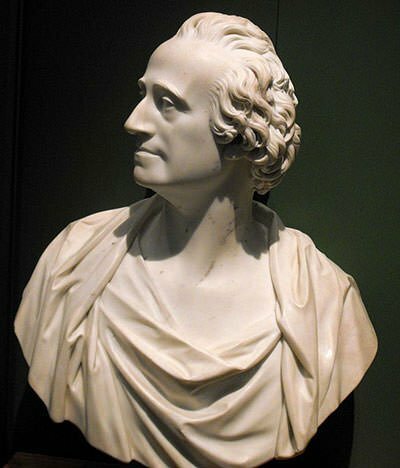 Adam Smith was one of the most influential members of the Scottish Enlightenment. Also, during his life, Adam Smith held many titles and accolades. In 1762, the University of Glasgow granted the title of Doctor of Laws to Smith. He was appointed as the commissioner of customs in Scotland in the year 1778. He was also one of the founding members of the Royal Society of Edinburgh. Eventually, in 1787–1789, Smith occupied the honorary position as the Lord Rector of the University of Glasgow. After his death, Smith has been hailed as one of the most influential people of the 18th century. Among other things, he has been commemorated in the UK on banknotes; many portraits and statues of him have been created; and his book The Wealth of Nations has been rated by The Guardian as one of the 100 greatest non-fiction works.